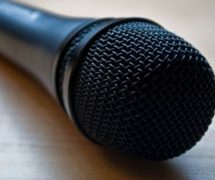 Home » News & Views » Things To Do » Video Game Voice Acting Strike: Does Performance Matter? I’ve got a few things to talk about in the next few days: My most recent review of Bentley Jones’ new single, the Dragon Pro show coming up, and maybe others for the future. But even now, topics just keep coming up from all over the place. This next article topic I’d like to bring to everyone’s attention to may relate to those digital entertainment pastimes that people occasionally (or constantly) take part in – computer games? Video games? Those sound familiar right? But it’s a particular aspect of a majority of these games, especially in the modern day we know now, that is being brought into question. See, you know the voices we hear coming from some of your favourite video gaming characters? Those are actually people, or at least the voices are actual people. While acting can be a vast topic to discuss, in fields such as animation and video games, people who specialize in the voice over industry are a unique bunch as they can add personality and emotions to the characters you interact with (I’ll be sticking to video games here since that’s the article topic). But sadly, with their unique skillsets and adoring fan base, they also have a very niche fan base in that even to this day, people don’t really see voice actors as ‘true actors’, whatever that means. They get paid less than those involved in other big picture titles, they are constantly performing for weeks, months, even years in different roles that could very well end if the wrong thing happens in any of their sessions, heaven forbid, and overall – it’s just unfair. Performance Bonuses – This relates to how ‘successful’ any video game that voice actors are a part of and them getting a share of the financial success. The Union would request royalty for every 2 million copies sold until sales reach 8 million. Vocal Stress – Reducing the amount of emotion based session to about 2 hours a time, you know so they don’t strain themselves for hours on end screaming, yelling, crying and much more. Stunt Coordinator on Performance Capture Volume – This makes sure voice actors get more safety and protection during their performances. Transparency/More Information received beforehand – The voice actors should have more concerns and questions for projects they wish to be a part of answered. The question can boil down to how many sessions are booked, what ratings they would get and why, if the sessions will be vocally stressful, and even if the content of the game is graphically, sexually or anything else under an offensive nature. Some well-known voice actors such as David Hayter, Jennifer Hale, Wil Wheaton, Cree Summer have all been in favour of wanting a chance by being more vocal about it on social media, mainly through Twitter using the hashtags: #PerformanceMatters and #iAmOnBoard2015. Now, honestly, this whole situation is very awkward for the teams involved with the creation of the video games of the future: the voice actors and, of course, the game developers. The game developers would feel like they wouldn’t be getting much out of this as they would not be getting the benefits that their hired actors would be getting as they are not part of their own Union, so no one could negotiate any of their demands. Others still see voice acting as something that doesn’t turn the profits that actual games get or may just not see that it really mattered in the end as it was the game that sold and not their performances. Let me just say, as a fan of video games, I can understand why developers would feel uneasy about this situation. They are having trouble as it is to produce their titles to the public, and having to worry more about other issues such as those that get cast for their projects will only add to it. Their games could be released at a slower date, which publishers will not like since they have deadlines, and they wouldn’t getting the benefits that the voice actors may receive. However, as someone who has always supported voice acting as a whole, when people say that voice acting doesn’t make a difference in whether a video game title sells or not, I don’t believe they really know what they are saying. These actors are constantly putting their careers on the line in whatever roles they get cast towards, being put through strenuous situations in sessions, doing so daily, weekly, monthly and so on, and they don’t really get a break. Does all the trouble they have to deal with during their lives deserve to be repaid by hardly anything? This is their jobs, this is their living. And to not get a fair treatment compared to other performance based medias is somewhat discriminating. Another thing to also point out, I constantly listen to record panels from all names of voice actors. Bigger names like Nolan North, Troy Baker, Tar Strong, Cree Summers, Travis Willingham, Laura Bailey, Yuri Lowenthal, Tara Platt, Kyle Hebert, Matthew Mercer, just to name a few fantastic performers in this wacky industry, and even from up and coming names, or even those who are just getting their foot in the door. And one thing I always notice about their talks is that they will talk about the projects they have been a part of (more often than not) with just delight, that they were so glad to be involved with them. Maybe due to the backstory of the characters they acted as, or maybe being in the game franchise as a whole. And sometimes they bring attention to roles that they can have engaging conversations about that others may not have heard about, and they would get people interested in finding out more about them. They may be interested in that one character, then suddenly they know about another character from that series, then another, then the main cast, then the other characters, then they’d like to know more about the game overall, and before they know it, they are playing that very game and judging it for themselves. So saying all of this, it is a very difficult situation to be a part of, as game developers, as voice actors, and even as fans of gaming and voice acting. We may get more games being delayed in the future. 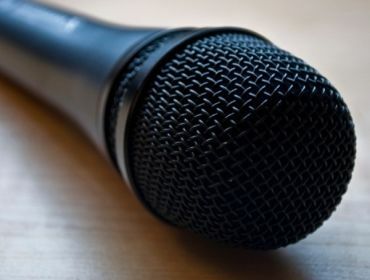 We may have the same voice acting talent being in the limelight while up and comers or those wanting to get into the business may not reach any level of success. Would games possibly cost more from this happening? Who knows?! But what I do know, is that everyone needs to be treated fairly in conundrums like this. Keep in mind, the voting that is taking place between September 16 and October 4 needs at least 75% in favour of a strike for there to be any actual change to this issue, but for the moment, I want to see what happens if the strike goes on. Will it change for the better? Hopefully so. Or will it change or the worse? Hopefully not. Either way as fans of gaming and acting in general, maybe using those hashtags on Twitter or wherever social media is a thing, could truly make an honest difference. Most of this information I got from more articles online that I will include in links below if anyone is interested in learning more about this issue. Also, keep in mind that I do not work in either of these two industries (video games or voice acting), but one day I would very much like to lend my support to both as much as possible alongside my animation goals, since this can somewhat relate to both parties as well. So who knows, maybe ten, twenty years from now I could be in this situation, and I may like to be treated fairly, also. I just hope that everything works out in the end for everyone, I really do. Related Article: Can Crowd-funding Change The Direction Of Gaming?